It’s that time of year again–Better Speech and Hearing Month! May is the perfect month to expand your knowledge of hearing loss, get involved with your Deaf and hard of hearing communities, learn how to better communicate with your hard of hearing loved ones, or take steps towards improving your own hearing. For the whole month of May, the American-Speech-Language-Hearing-Association (ASHA) and other organizations will be putting all of their focus into spreading the word about treating hearing loss including communication strategies, the importance of treatment, and hearing safety. For 2018, the theme is “Communication for All”, and ASHA has resources to help you celebrate all month long. With the theme “Communication for All” in mind, ASHA is leading a public education campaign on the importance of early diagnosis and treatment of hearing loss in children, safety issues for older hard of hearing people, and hearing loss-related problems adults might face, along with other topics. How can hearing aids help to keep you safe? When hearing starts to worsen, wearing a hearing aid may seem challenging and inconvenient. But the fact is that wearing hearing aids improves quality of life. According to the American Association of Audiology, people with hearing loss that wear hearing aids experience a better quality of life than those who don’t. And of the most important ways that hearing aids can improve a person’s life is by increasing their personal safety. In a study by Dr. Frank Lin of John Hopkins University and Dr. Luigi Ferrucci M.D., Ph.D., of the National Institute on Aging, it was discovered that people with mild hearing loss — a 25 decibel (dB) hearing loss — were three times more likely to have a history of falling. With every 10 dB of hearing loss, the risk for falls increased by 1.4 percent. Lin said gait and balance are very “cognitively demanding”, and so is hearing loss. This means that when the brain is required to spend extra energy trying to hear, it has a decreased ability to focus on gait and balance. Perhaps the most important way that hearing aids keep you safe is by making you more aware of sounds of danger. Think about the sound of a car pulling around a corner, a pot boiling over, or an oven timer going off. Cooking, taking a walk, crossing the street, these are not inherently dangerous things to do. But without the necessary sensory input, hazardous situations could quickly arise. Then there are more urgent sounds, such as a smoke detector going off, a call for help from a neighbor, a community tornado siren, a police car or ambulance, or a railroad crossing warning. Hearing aids have the potential to save lives by making people more alert to these vital sounds in their home, around their neighborhood, and while driving. Being able to hear and use the telephone in an emergency can be life-saving too. Many digital hearing aids are now Bluetooth-compatible and can connect to a cell phone, so that the voice of a loved one or emergency worker can be streamed directly to your ear in times of distress. We all know that being able to hear smoke detectors is critical to keeping you and your family safe. For people who are hard of hearing, regular smoke detectors which emit a high frequency sound may not be effective. Instead, those with mild to moderate hearing loss are more likely to be awakened by smoke alarms which emit low-frequency alarm sounds. There are two other options: strobe light alarms and bed or pillow vibration alarms, both of which are activated by a smoke alarm going off. But research has indicated that the low-frequency alarms were more likely to wake older adults than either of the other options. What if you are hesitant to hearing aids, or have never gone in for a hearing exam, even though your hearing loss has become a hindrance? If this is the case, you’re not alone. 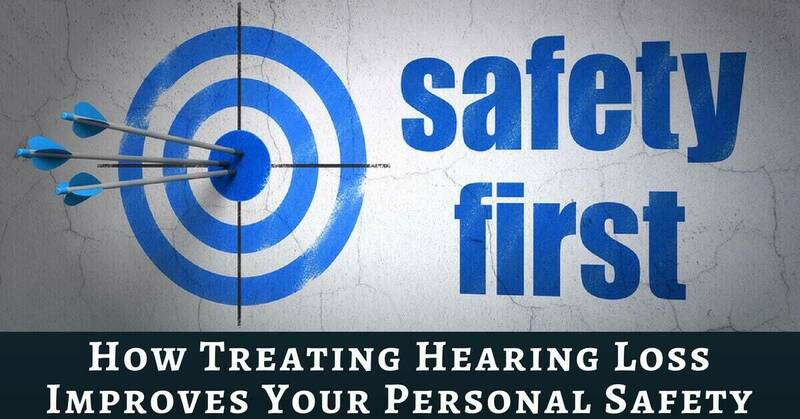 Many people with hearing loss put off having their hearing tested for years. But there is no time like the present to make a change. Remember that living with untreated hearing loss could be putting you at risk in a number of ways, as well as preventing your ability to hear and help others who are in danger. Your alertness to the sounds around you not only increases your own safety, but also the safety of your neighbors, family and friends. Don’t take the chance of missing a vital warning sound at home, at work or around town. A hearing evaluation is the first step towards treating your hearing loss, and the first step towards the relief and security that will come with being able to hear the world around you. Here at Coweta Hearing Clinic, we love to help people discover better hearing. We provide a variety of audiology services including: comprehensive hearing tests, hearing aid repair, tinnitus therapy, balance testing, hearing aid sales, assistive listening devices, hearing protection devices, and tinnitus testing. Schedule your hearing evaluation with us today!